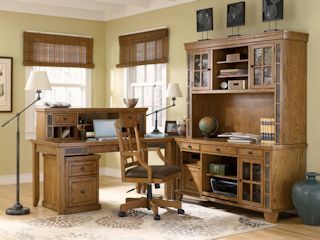 • You don't have to buy another computer, or make room for another person in your office. This is very good news for my fellow home-based business owners! • We have fully-equipped home offices, including broadband internet access, dedicated telephone lines, computers and printers. • You don't pay "benefits," such as health and dental insurance, sick leave and vacation time. • You don't worry about your staff commuting to your office and being late due to traffic. We work from home and can assist you right now. You've got after-hours support when you work with Remote Office Solutions. Burning the midnight oil for tomorrow's deadline? Call us and we'll work with you. • Administration: Typing, Word Processing, Data Entry, Document Prep. • Writing and Editing Services: Editing, Business, Creative and Technical Writing, Copy Editing, Brochures, Web Content, Resumes, Cover Letters, Book, manual and newsletter editing. • Desktop Publishing: Logos, Graphics, Business Cards, Letterhead, PowerPoint Presentations, Cards, Invitations, Calendars and more. • Internet/Web Services: Web Site Design, Web Site Consulting, Internet Research, Graphic Illustrations, Website Advertising and Marketing, Affiliate Marketing, Search Engine Optimization (SEO). • Personal Services: Resume Writing and Preparation, Cover Letters, Reference Letters, Complaint Letters, General Typing and Word Processing.